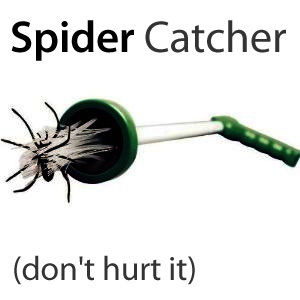 Tony Allen came up with the idea for the Spider Catcher after spending years chasing spiders with a hoover or rolled up newspaper for his young son who was terrified of them. Not wanting to harm the spiders and conscious of peoples fear of spiders, Tony came up with a way to harmlessly remove spiders and other household pests. The Spider Catcher keeps you at a comfortable distance when you pick up and transport the spider or insect. The Spider Catcher is about 65cm long. The average arm length is 65cm, so you can estimate your body being about 1.3m (4 foot) from the Spider. It is long enough to reach ceilings and awkward places like in corners. On a recent visit to Ireland, the Prince of Wales was given a present of the Spider Catcher. The Prince was so impressed with the environmentally friendly product that he asked his secretary at Clarence House to send a letter praising the invention and congratulating Tony on his idea. The Spider Catcher is also gentle to insects. It was tested on hundreds of spiders and it never harmed a single insect; it is gentle enough to catch butterflies without causing any damage to their delicate wings. People don't want to kill or harm insects if it's not necessary. Therefore there is a feel good factor when using The Spider Catcher that you have removed a spider or insect without causing harm. 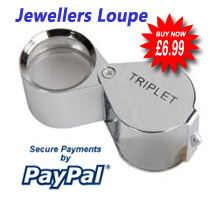 But you don't have to use it to catch spiders, it can be used on a variety of insects including butterflies, moths etc. The Spider Catcher is also convenient for collecting dead insects from window sills (even dead spiders are scary! ), picking up goldfish and collecting mayfly for fishing. The Spider Catcher makes a perfect gift for people afraid of spiders and its so easy to use. A unique invention- awarded the Geneva Gold Medal with Distinction. When dealing with arachnids, remember the first rule of engagement - never let them see you're scared. Standing on your sofa or screaming for help may make you feel better, but it will not solve the problem. It will only enliven the creature causing it to run into an awkward corner of the room. If this happens then, quite frankly, a glass and a piece of paper is useless. Time to turn to the Spider Catcher. At around 65cm (25") in length, and activated by a trigger handle, the Spider Catcher has two sets of bristles at its furthermost end. These bristles gently and effectively grab and hold the creature, keeping it a safe distance from you, whilst you transport it safely outside. Now that's what I call a good catch. My wife was had perfected the technique of killing spiders with a deadly flick of her slipper if i was not there to pick it up and put it outside so I thought this the ideal present for both her and the spider population of Worcester. The catcher now hides behind the arm chair ready to be whipped out at the slightest suggestion that one of our eight legged eight eyed friends are shareing our living space.The catcher works beautifully picking them up and trapping them while you walk them out into the garden and release them safely onto the lawn so that they can go away breed and invade you on mass next year (such is nature).